were falling and becoming yellowish instead of green. I watered, waited and watched with no visible signs of improvement. Finally I decided to prune the vines and remove all the dead leaves. It looked horrible. I thought I had killed the poor plant. To my surprise about a month later I noticed it was flourishing again. My Pathos plant reminds me of Jesus’ message to the disciples in John 15:2 “ He cuts off every branch… that doesn’t produce fruit, and he prunes the branches that do bear fruit so they will produce even more.”(NLT). As we prepare for our fall 2018 Charge Conference season our Theme is Equipping the Church for Resilience, Innovation and Growth. This year we will have Regional Charge Conferences - gathering 12 – 14 churches together for a time of worship, fellowship and a discussion of important church business matters. We will end the week with a District wide worship celebration with our very own Bishop Ken Carter preaching. As we focus on the importance of equipping the church, I’m experiencing equipping as evaluating what’s growing and pruning away what’s not. I believe our churches can flourish and be in vital mission and ministry in communities throughout the Gulf Central District. My revitalized Pathos plant encourages me in our work together. Inviting your congregation to join the conversation of the 2019 Special General Conference Session? Looking for a positive way to approach the issue of human sexuality (and other highly-charged issues)? Point of View, previewed at Annual Conference, is receiving great reviews across Florida and beyond helping people bring empathy, understanding and healthy dialogue to the conversation. POV is designed to be facilitated by laity—affording clergy the opportunity to be present to everyone. Facilitators are invited to come learn from best practices for presenting materials, leading discussion and session logistics. 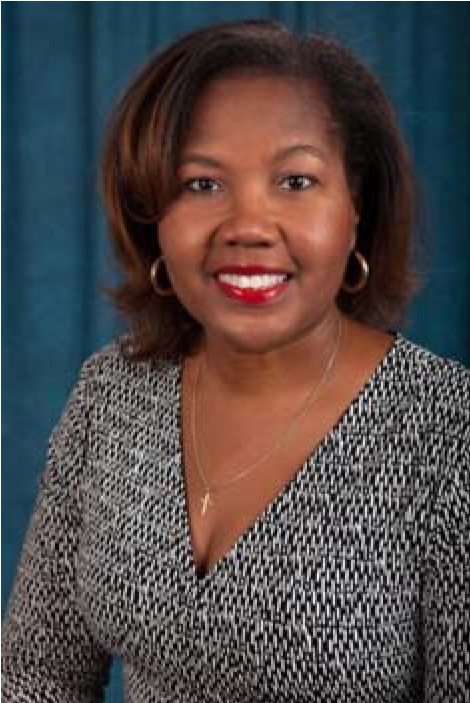 Facilitator training is sponsored by the Gulf Central District and led by program design team member Magrey DeVega. How can I learn more about the Way Forward for the United Methodist Church, what this means for my local church and the plans from the Commission to the Special Session of the General Conference? For information about the Point of View (POV) process, which has been happening in many of our local churches, click here. The purpose is to create empathy in congregations and communities and to approach the LGBTQ conversation from a posture of listening to scripture and each other. POV was developed by a cross section of leaders across a theological spectrum and is also being used as a resource in other conferences. Bishop Ken Carter will convene four regional gatherings in Tallahassee, Winter Park, Boca Raton and Bradenton in September around the theme The Cross and the Flame. These follow six meetings over the last two years, which were held in Gainesville, Cape Coral, Loxahatchee, Jacksonville, Tampa and Orlando. Bishop Carter will reflect on the future of the church and take time answering submitted questions. To register for one of these gatherings or to submit a question, click here. Smaller and more focused conversations will also take place around the Conference. Rev. Alex Shanks will be present in the eight districts this fall to review the three plans that are present in the Commission on a Way Forward’s report to the Special Session of the General Conference. To see the report click here. The date and format of your district gathering will be communicated by your superintendent and can be found here (note: some of these meetings will be held during clergy meetings). These district gatherings follow the presentations about the Way Forward held in each district in the Winter of 2018. The Special Session of the General Conference will be held in St. Louis, February 23-26, 2019. To learn more about the Special Session or how to attend the Special Session as a visitor, click here. The names of our delegation to the General Conference, with equal representation of laity and clergy and led by Molly McEntire and Rev. Alex Shanks, are listed here. The Conference Table, convened by our Lay Leader Paulette Monroe and Bishop Ken Carter, will include an open conversation with our General Conference delegates about the Special Session in February. The meeting will be on October 20 in Lakeland. To register for this gathering or to learn more about how to participate, see this link. We encourage you to visit the Florida Conference website, www.flumc.org/wayforward, which contains videos, testimonies, and links to the Annual Conference presentations by a number of our leaders, including Way Forward Commission members Rev. Jorge Acevedo and Alice Williams. Bishop Carter’s book, Embracing The Wideness of God’s Mercy, will be published by Abingdon Press in late August, and is available through Amazon and Cokesbury. You can learn more about the book here. It includes material that has been included in local churches and clergy gatherings in the Florida Conference, and is a traditional evangelical case for greater inclusion of LGBTQ persons in our local churches. UMW invite you to join them for Sacred Spaces at the LEC. Retreat Leader is Rev. Vidalis Lopez and the Youth Leader is Kenya Monroe. Click HERE for Flyer. Click HERE for registration form. Questions? Contact Kay Roach kayroach.umw@gmail.com. One-day and two-day options are available. Like the interconnected roots of the redwood trees, a strong network is a game-changer for ministry leaders. Rooted is designed to connect those leaders to each other, to innovative and inspiring training, to resources and, most importantly, to God. Rooted is the "can't miss" event for anyone involved in KidMin, youth and family ministry. Whether you are brand new to ministry, a long-time veteran, on the church payroll or volunteering your time, you will find valuable time in the worship, classes and community at Rooted. Rooted is proudly hosted by the Florida Conference of the United Methodist Church and the Youth Ministry Institute. Please contact Joel Pancoast at jpancoast@flumc.org if you have any questions. Looking forward to an amazing event. August is typically when hurricane season picks up for the state of Florida, and August is just around the corner. 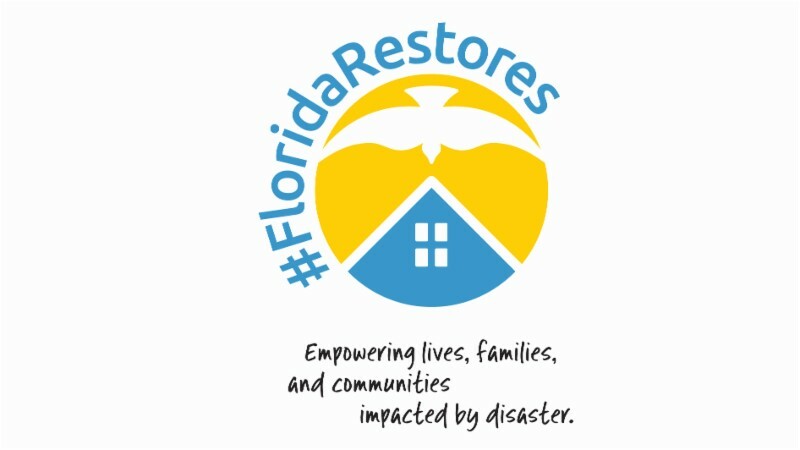 We are reminded how drastically life can change after disaster as #FloridaRestores continues working with survivors of Hurricane Irma, welcoming volunteer teams and repairing homes. The Best Recovery is Preparation! Pick up sandbags while there are no lines; check your local news web site for evacuation routes, pet-friendly shelters and more area-specific information. Get out your reindeer antlers and dust off those running shoes! Palm Harbor United Methodist Church is hosting the 4th Annual Reindeer Run 5K Saturday, December 1, 2018. The race will kick off at 8 a.m. at Pop Stansell Park, 797 Florida Avenue in Palm Harbor and runners will be able to run/walk up and down the beautiful Pinellas Trail. There will be a 1 mile fun run, chip-timed 5k, a virtual 5k and a tot trot for our youngest runners. All participants will receive a festive finishers medal, t-shirt and post-race goodies. Proceeds will benefit Bridging Freedom. For more information and to sign up go to www.phumc.net and click on the Reindeer Run logo. Description: Join us the last Tuesday of every month and BE INSPIRED! People in our community are hungry, homeless, and caught up in a negative cycle of poverty without options for success. They dream of having food on the table, a safe and comfortable roof overhead, and the ability to work and provide for their families. All of these dreams are achievable and are realized by over 15,000 people each year through the work of UMCM Suncoast. Visit UMCM Suncoast and learn how you can be a ray of hope for those who are currently feeling hopeless, and guide them to find a bright future! The June 2018 Cabinet/Strategic Leadership meeting focused on resilience. One of the outcomes of the meeting was an agreed upon intention to read Scripture together. The Bishop and Cabinet invite anyone to join in reading the following passages – Isaiah 40-66, Romans 8, Philippians 1-4 – each month. The plan is to read a chapter a day, beginning with Isaiah 40 on the first day of the month and ending with Philippians 4 on the last day of the month. Each month we will repeat the cycle. Click here for the easy-to-use calendars that make it clear what to read each day. The hope is that reading Scripture together will grow our resilience, which we defined as our capacity as individuals, churches and an annual conference to maintain our core purpose and integrity in the face of dramatically changed circumstances. Our dream for the church in Florida is that we will stay focused on the main thing: making new disciples of Jesus in new places and in new ways as we stay #onmissiontogether. United HealthCare has shared the following information and resources in an effort to encourage us to think of wellness in a practical, easy and accessible way. Below is the monthly National Health Observances with links to other pertinent sites. These links are available to anyone. R-10 and Counting, a comprehensive retirement planning seminar sponsored by the Florida United Methodist Foundation for clergy planning to retire within the next 10 years, will be held Sept. 10-12 at First United Methodist Church in Lakeland (72 Lake Morton Drive, Lakeland, FL 33801). CareFest is a Christ centered community service day. CareFest unites churches, businesses, organiza-tions, and cities with the purpose of demonstrating God’s love in practical ways. We believe the Church is God’s gift to every community and as we serve our communities together in love, as Christ did, we become that gift. For the past 14 years, Somebody Cares Tampa Bay has mobilized local churches, community agencies, and businesses to meet the practical needs of our communities through CareFest. The object of this day of service is literally to do all the good we can by all the means we can. This day-long work day in which thou-sands of volunteers in different locations throughout our service area come together to beautify and repair homes and neighborhoods. These projects are identified through local government offices, churches, and ministries. At the end of the day the volunteers and the homeowners come together to recognize and cele-brate their accomplishments. Food and beverages are provided for all involved. In addition, each year a "Care Cup" trophy is awarded to the location with the largest number of volunteers. These celebrations also provide opportunities for people to share the Good News of Jesus Christ and for churches to connect with people in need that are in their community. Approximately 5,000 volunteers and over 100 partners from churches, businesses, and other non-profit ministries are involved in CareFest on an annual basis. CareFest not only blesses the homeowners and the volunteers, but it serves to encourage unity in the Body of Christ in Tampa Bay.